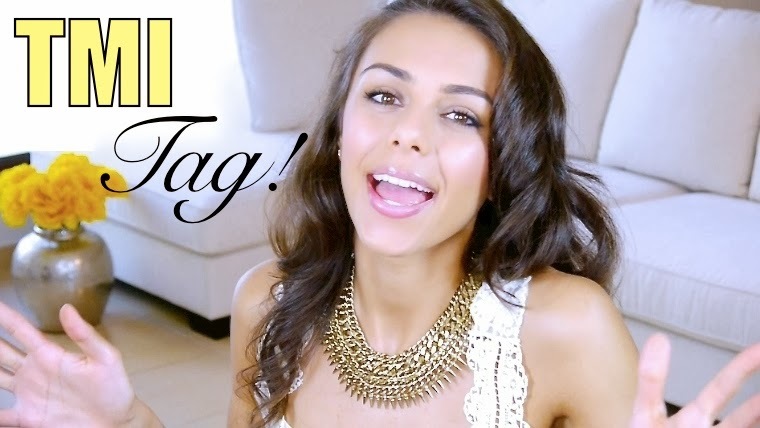 Annie Jaffrey: New Video: TMI Tag! I never did a day's work in my life. It was all fun. - Thomas A. Edison (love what you do and you will never feel like you're working). Cool ? and answers I also do not have tattoo and do not believe in zodiac sign. I agree Leonardo Dicaprio did an amazing job with the movie wall street. What a great video!!!! Cool tag! Loved your video Annie great to see another side of you! Hi! I love this kind of videos where we can learn more about you and also i love your inspirational videos about healthy lifestyle and being positive^_^. Can i ask something? If possible, can you say "Hi, Nazira" in the next video or someday please;) Thank you so much for being role model for many girls and for me))) Have a nice day and all the bests!!! Can you make a video on the make up ur wearing, am loving it! u look beautiful!